A RETAIL CHAIN has been ordered to pay €2,500 to a worker who was sent home and remained off work for months without pay for having an untidy beard. In the case before the Workplace Relations Commission, adjudication officer Jim Dolan said that the sending of the worker home without pay over the ‘beard incident’ “was a punitive action” by the unnamed retail chain. He said that the scale of the worker’s loss of earnings was not clear, however he was recommending a compensation payout of €2,500. The male staff member had worked with the chain since June 2012 with an unblemished record, including a number of awards for his service. 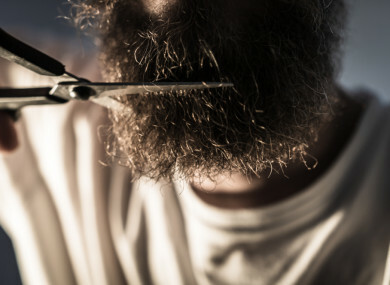 In his claim under industrial relations laws, the man – who remains employed with the retail chain but is on sick leave – claimed that “management began a vendetta against him because he had a beard”. He said that the management’s behaviour towards him deteriorated from mid-2014 due to the facial hair. The man pointed out that the company’s staff handbook stated that staff are allowed to have a beard as long as it is neat and tidy – which the worker claimed applied in his case. In a letter to the retail chain’s CEO, the worker’s mother contended that her son’s beard was kept neat, tidy and well-groomed as required. The man’s union told the WRC that the man’s treatment by management of the worker regarding his beard was “totally unacceptable and was a form of bullying and harassment”. The union said that the suspension was given to him without subjecting him to the disciplinary procedure, which is a blatant breach of fair procedures. It pointed out that the company handbook said that “beards and moustaches should be neat and tidy and always well-groomed” but fails to define what constituted neat, tidy and well-groomed. The union said that management failed to supply their employee “with the proper beard nets and instead of trying to resolve the issue in a timely manner, they compounded it by suspending him for four months without pay”. It added that when the worker sourced his own beard nets, management refused to let him wear them and sent him home unpaid. The worker said that because of the unacceptable treatment over his beard, he suffered depression and was certified unfit for work due to work-related stress, which he is still suffering from today. In response, the retail chain said that it must retain the primacy of the manager in making the call on what is a neat and appropriate appearance including what would constituted a neat beard. The company pointed out that it sells fresh food and must be vigilant about food safety. The retailer said that in addition to being vigilant about food safety, “we must also be vigilant about our customers’ perception of how we approach food safety and so we are strict on our employees’ appearance”. It said that beard nets were not available when this was an ongoing issue for the worker, but they had since been introduced and these should allow the worker to style his beard according to his own taste while still adhering to the appearance standards. An internal appeal found that at no stage was the worker formally suspended but that he was sent home as his beard was not neat and tidy. As part of the WRC investigation, Dolan visited three of the chain’s stores and reporting seeing a number of male employees with beards of various shapes and sizes. He said there were no male, bearded employees wearing beard nets, however some were working behind food counters. He concluded that local store managers have a degree of discretion in relation to what constitutes a neat and tidy beard. Dolan said the retail chain should consider a suggestion by the worker that management display pictorially what constitutes a neat and tidy beard. Email “A retail worker got a €2,500 payout after claims he was subjected to a 'beard vendetta'”. Feedback on “A retail worker got a €2,500 payout after claims he was subjected to a 'beard vendetta'”.